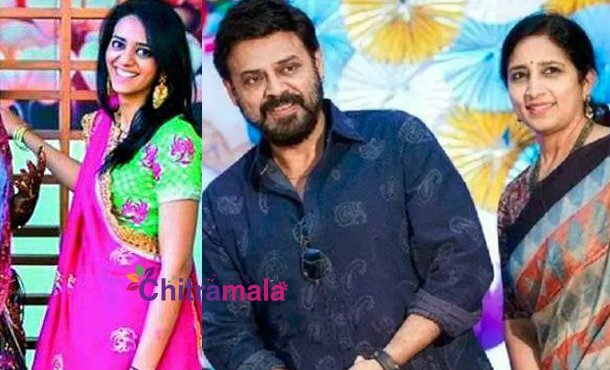 We have already reported sometime back that wedding bells are all set to ring at Daggubati Venkatesh’s residence. Victory Venkatesh’s elder daughter is all set to get hitched to the grandson of Hyderabad Race Club Chairman Surender Reddy. Venkatesh’s daughter Ashritha opted for a love marriage to which both the families agreed. After consulting their family priest, the family of Venkatesh now locked the date for the wedding. The marriage is going to take place on November 24th in a grand manner. With the date being announced, the wedding festivities are going to begin soon. Ashritha is a known person for the social media followers as she is a professional baker who runs an outlet named Infinity Platter. She keeps her followers updated with her whereabouts and bakery items. The time and venue details about the wedding will be announced soon.